This section is for Adults helping your own child who has been abused (including parents, grandparents and other relatives). Every person seeking help from Justice for Children MUST complete the Intake Form to the right (yellow button). If the child in need is not related to you, we may still be able to help. 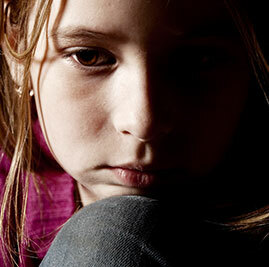 Emotional abuse is ongoing conduct that seriously harms a child’s psychological well-being. It can take the form of constant belittling, shaming, and humiliating a child, calling the child names and comparing her unfavorably to others, telling the child he is “no good,” “worthless,” “bad,” or “a mistake,” frequent yelling, threatening, or bullying, ignoring or rejecting a child as punishment, withholding signs of affection, and exposing the child to violence towards others, whether it be the abuse of a parent, a sibling, or even a pet. Every person seeking help from Justice for Children MUST ccomplete the Intake Form on the right. If the child in need is not related to you, we may still be able to help.